Berlin, Germany… Pretty much exactly like Berlín de San Ramón, right? The other day I posted quite a few links that my German students can check out (click here for that post). 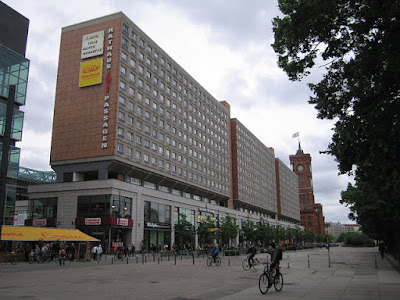 I was also chatting online with Sharon, and she pointed out a great, free online German class. It’s got explanations in Spanish, so it could be a great resource for my students here in Costa Rica. It has some videos and some sound, too (you may have to wait a few seconds after clicking, just so you know). In any case, check out the course here. If you have any comments, please feel free to share them. Thanks, and Viel Glück! I´ll charge you for…name right? And why does this thing say anonymous? You probably didn’t select a profile when posting the comment… who is this?